What is ITIL framework? Why is ITIL framework the talk of the town? What are the benefits? Let us explore the ITIL framework to get a low down on it. Have you heard of the 5W1H? Using this technique, you can understand a topic in its entirety. So, what is this technique? Answer the question of What, Why, Where, When, Who and How of a topic, you have completely understood it. Therefore, let us apply this technique to ITIL framework. Before we talk about the ITIL framework, what is ITIL? ITIL stands for Information Technology Infrastructure Library. If this is a library, why is a framework needed and how are these two related? ITIL is not a library in the conventional sense but because of its origin, it is referred to as a library. A Framework gives a structure to the ITIL and hence ITIL framework is a structured approach to managing Information Technology services. To understand the relation to the library, let us see how this word came up. What is the current version of ITIL framework? Let us explore how the version of ITIL framework and what were the previous versions and at what time they were released. The present version is ITIL V3 Foundation upgraded in 2011 which is also being referred as ITIL 2011 or ITIL V3 2011. Improvisation of ITIL V3 Foundation led to the current upgrade. How does ITIL Framework help? ‘How’ in regard to ITIL framework, can be viewed from different angles. One aspect is ‘How did ITIL framework originate’? 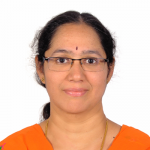 Another perspective is ‘how does ITIL framework help’? ITIL Library or ITIL Framework can be traced back to the 1980s. More than three decades ago, a set of books were defined to guide the IT Service Management. A structured approach to managing IT Services across industries gave birth to this ITIL Framework. We will go more into this later in terms of benefits but at a high level, ITIL Framework removes confusion in practices, gives consistency, increases productivity and reduces costs. Across industries and countries, IT Services would be managed according to the processes, principles, and procedures of the ITIL Framework. More than 30 years ago, Information Technology was in its nascent state and was the tool for enabling business processes. Each company had its own way of delivering IT services. No predictability or consistency across the service providers. What can you expect out of this? Confusion, rework, loss of time and money. Therefore, the UK Government in the 1980s decided that uniformity was imperative and certain framework was to be defined for all IT services used by the Government. ITIL Framework enables a standard, consistent way to identify, plan, deliver and maintain the IT services that provide value to the business. Where is ITIL Framework used? Is ITIL Framework specific to only Government? Or to a specific sector such as Banking, Healthcare, Manufacturing? No! 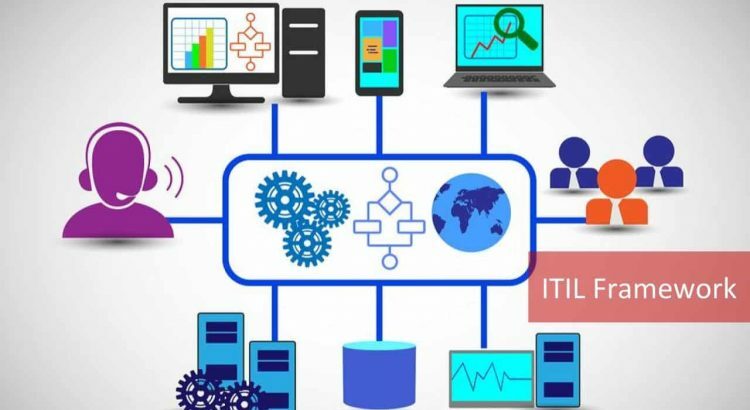 You can use ITIL Framework across industries wherever you are using Information Technology Services to provide benefits and values to the business. Wherever IT Service Management is, ITIL Framework is the pillar that supports it. ITIL Framework is the collection of best practices which help you manage IT services more efficiently. When is ITIL Framework used? Is there a stage when ITIL Framework needs to be used? Do organizations need a certain level of maturity or, are there any prerequisites for implementing the ITIL Framework? ITIL Framework can be implemented at any stage. Preferably, when your company has a set of defined processes in place for delivering IT services, implement the ITIL Framework. Who uses the ITIL Framework? Any organization in any industry can adopt ITIL Framework. But, it works best for medium to large organizations. While small organizations can also benefit, it is best to pick and choose which portions of the ITIL framework your company would want to adopt. Does that mean, it is applicable only to companies and not individuals? ITIL framework helps to streamline the IT service processes and enhance their efficiency. But, who will do it? It is people like you who need to understand and apply the ITIL framework. Therefore, there are ITIL certifications for individuals for various levels. Anyone can start with the ITIL foundation training to get an insight into the ITIL framework. What are the certifications for ITIL framework? You want to know where to start and how to go about getting certification on ITIL framework? What ITIL course to take? Here are the different certifications on ITIL. You start with the ITIL V3 foundation and can move up the ladder. Hence, let us look at the levels of ITIL certification for you. ITIL V3 Foundation is the entry level certification. You can demonstrate your basic understanding of the ITIL framework through this certification. If you are able to get 65% score in the ITIL V3 Foundation exam, you get your certificate. Are you done with ITIL V3 foundation level exam? If yes, you can appear for this practitioner certification. If you are a Practitioner, you have the ability to customize the processes, ITIL Framework and adapt to your company requirements. You begin to work on Continual service improvement (ITIL CSI) in your organization and emphasis on enhancing the business processes’ efficiency. You can sit for the Intermediate level only If you have passed the ITIL Foundation exam. But, Practitioner certification is not mandatory. The intermediate credential is between Foundation and Expert. Since you have knowledge on the ITIL Framework, you can start focusing on a specific area of interest to you. 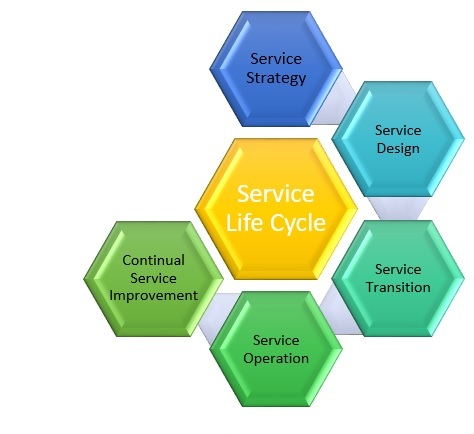 What is covered under Service Life Cycle? 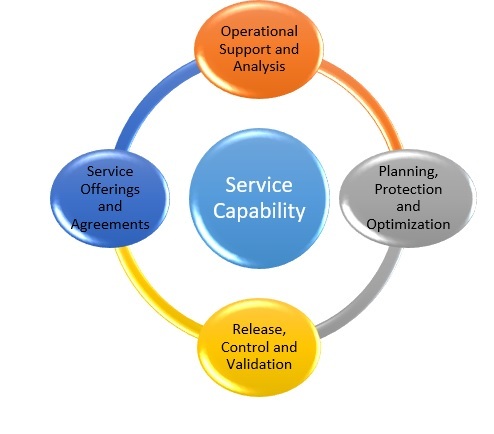 What is covered under Service Capability? If you have come this far, you ready for the zenith- the Master level of ITIL. At this stage, you should be able to analyze, understand and demonstrate how you used various processes, principles, methods, and techniques in ITIL framework to achieve specific business benefits. Who owns the ITIL Framework? You know that originally it was put together by the British Government’s Central Computer and Telecommunications Agency. The first version of ITIL framework came out between 1989-96 with about 30 books in it. ITIL framework was in public domain for a long time. In 2014, Axelos became the owner of the ITIL Framework which is a trademark and not just an acronym anymore. Axelos is a joint venture between UK Government and Capita plc- a company known for business process outsourcing. The current version of ITIL has 5 core areas in the ITIL Framework. What are the 5 core areas? 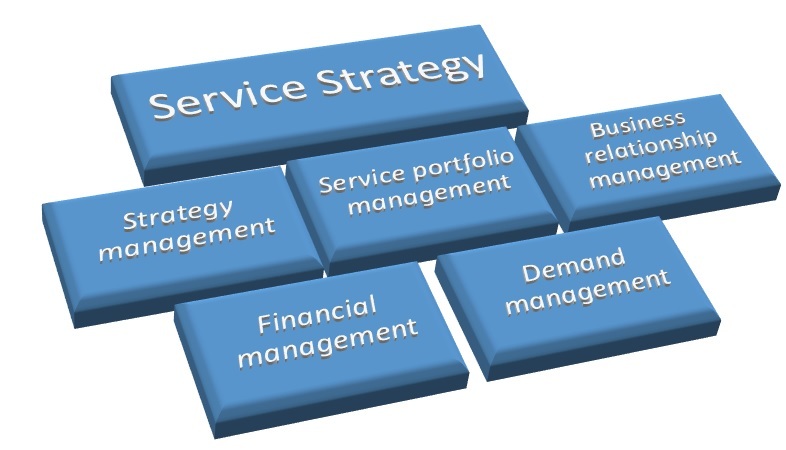 In the ITIL Framework, ITIL Service Strategy is the deciding factor. Do you want to know how to allocate your funds to the different services? Which services to be given preference and focus compared to others? You know with the limited resources that your company has, you cannot focus on all at one go. Therefore, you go by the market trends. Using Service Strategy volume, you can assess the services that give most value, service assets, decide on priority, analyze the market and create a business case. What processes fall under Service Strategy? Of the 25 processes in ITIL Framework, which come under the Service Strategy? In the ITIL Framework, Service Design volume gives you the best practices to be used for developing the technology design of services and not just the technology. What does that entail? If you are planning a service solution, you need to know how it interacts and helps the business and the technology. What type of support needs to be provided and the supply chain that interacts to make it effective? You can get this information from the ITIL Service Design volume. Which are the processes under Service Design? This core area is helpful when you are going live on a process. ITIL Service Transition a core part of the ITIL Framework is focused on how changes are managed and ensuring that the services that are planned, defined go into the operation to help the business. If you are planning a release, this process will guide you in terms of managing the triple constraints of time, cos, and quality of the resources used. You can understand the best practices in managing changes to the services in the life cycle. This guides you in maintaining the information on the various configuration items needed for the IT Service delivery in the ITIL Framework. This process is critical for you when you are releasing components into the live environment. You can know the best practices to manage the release effectively. Don’t you have to test the release components to make sure that they meet the customer’s expectations? On top of this, you need to maintain the integrity of the live environment. 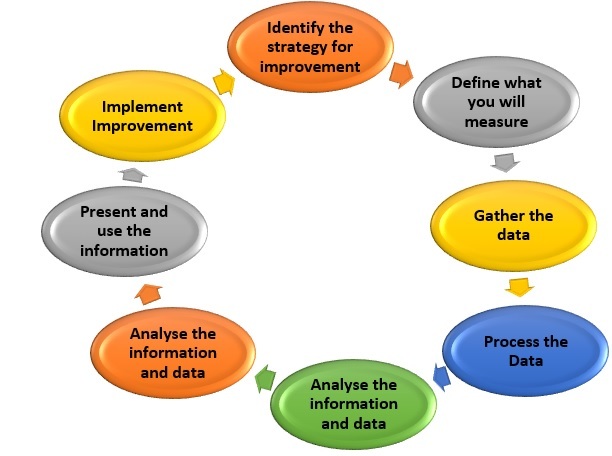 In the ITIL Framework, this is what the process will help you with. This process will aid you in the assessment of the changes made to a service or a new service being introduced before moving it into the next phase in the life cycle. You don’t need to reinvent the wheel! The goal of this process is to get all the knowledge base into one place to help you learn and improve the efficiency from the knowledge. If you want to understand how to keep track of problems, manage the trade-off between the reliability of service and the cost involved, Service Operations is for you. How do these processes and functions help? This is also called Identity or Rights management. You may have guessed by now that this is used to control the access privileges to the services. How can you prevent any incidents to occur and if you cannot prevent how do you mitigate the impact? This is definitely on the top of the list for any manager. Hence, using this process, you can analyze incident records and data from other processes to identify patterns and trends of possible problems and work on them. This process helps you classify the events so that appropriate action can be taken. How to make sure that incidents are quickly and effectively resolved without interruption to the service? This is answered in the incident management process. This is a key process that helps you know how to handle service requests across the ITSM life cycle. In the ITIL framework, the Service Desk function manages incident control and communication to customers on the status of their request. How to effectively track the routine activities to make the infrastructure that enables IT operations is working smoothly? What way do you schedule the jobs, take backups and maintenance to ensure the system is well oiled and runs without breakdown. These aspects are dealt under the IT Operations and Control. How to manage the facilities where you house the IT Infrastructure? What kind of security, physical environment you need to maintain for effective function. This is discussed under the Facilities management. Application Management is responsible for managing applications throughout their lifecycle while focusing on the collection of requirements for the software development projects. This is the process that provides the technical expertise which would help realize the service delivery across the life cycle. The only way you can sustain and move forward in business is through continually improving and revising the benchmarks for your processes. Therefore, this core volume that cuts across other stages of the life cycle is to ensure you are constantly looking for improvement opportunities. How do you improve the efficiency, effectiveness and reduce the cost of the IT services that are the foundation of your business processes and improve the business value? You can get answers to this question from the Continual Improvement stage/ core volume of the ITIL Framework. Which processes are covered under CSI? You can understand the areas for improvement in the service along with more cost effective way of delivering the service by using this process. Based on the results of the process evaluation, using this process, you can come up with the projects/initiatives to be taken up for bringing improvement. This is the process you can use to keep track of the improvement initiatives taken up. What corrections need to be made to meet the targets and get the desired results are part of this process. What is central to this CSI? Therefore, ITIL Framework provides the five core volumes to improve the efficiency of the IT services and enhance business value. Start the ITIL Certification now!